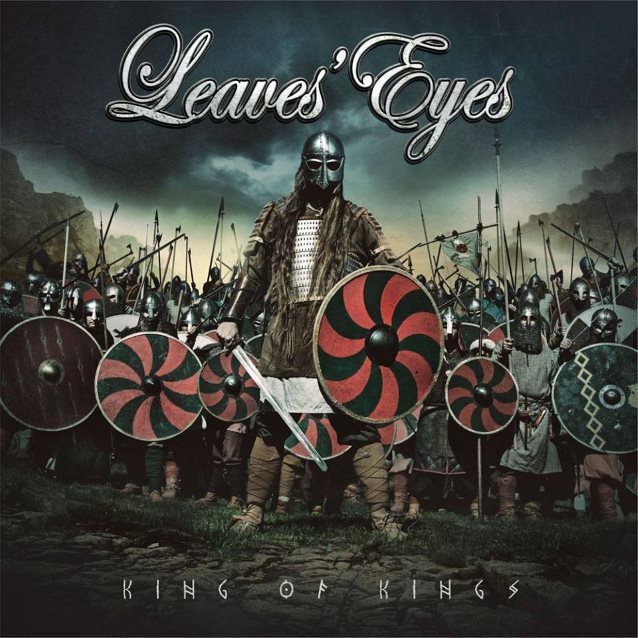 LEAVES' EYES — the German/Norwegian band formed by ex-THEATRE OF TRAGEDY singer Liv Kristine Espenaes Krull and members of ATROCITY — will release its new album, "King Of Kings", on September 4 via AFM Records. 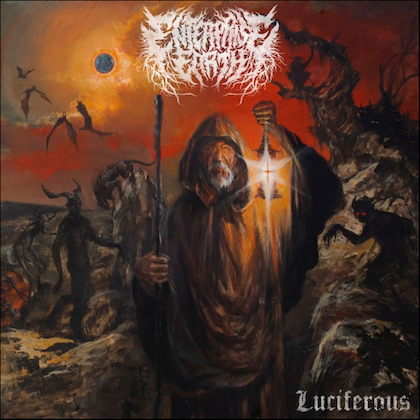 The CD was recorded in Germany, Norway, England, Netherlands, Belarus and Switzerland and was produced by Liv's husband, ATROCITY singer and LEAVES' EYES co-vocalist Alexander Krull, at his Mastersound Studio in Germany. "King Of Kings" features a guest appearance by the London Voices Choir ("Lord Of The Rings", "Star Wars", "The Hobbit", "Harry Potter"). 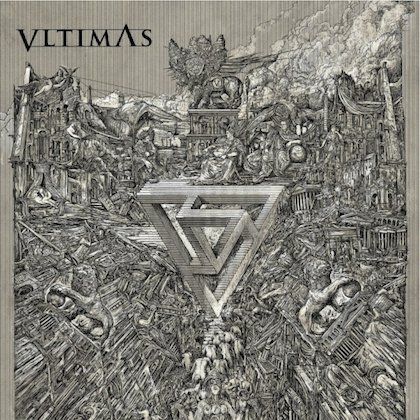 The artwork was once again created by Stefan Heilemann (LINDEMANN, NIGHTWISH, EPICA, KAMELOT). Kristine stated about the lyrical themes covered on "King Of Kings": "With our upcoming album, we would like to take you on a journey through a highly interesting chapter in Scandinavia's history. "Hafrsfjord, Norway's west-coast. A.D. 872. Did you hear what happened? "Harald Hårfagre (c.850-932), remembered by medieval historians as the first king of Norway. The battle of Hafrsfjord is described in the Saga of Harald Hårfagre (Harald Fairhair) in Snorri's Heimskringla. Harald defeated several petty kings and the battle is considered decisive in the unification of Norway. The seabed in Hafrsfjord hides many secrets and many traces. Moreover, Hafrsfjord is my birthplace. "Those of you who were present at our latest concerts surely noticed that there's one new song on our setlist, 'Halvdan The Black' — one chapter of the upcoming album, 'King Of Kings'! "Halvdanr Svarte (c.810-860) was a ninth-century king of Vestfold, Norway. He belonged to the House of Yngling (son of Odin' line) and was the father of Harald Fairhair. 'Halvdan The Black' is just the start of an amazing adventure!" 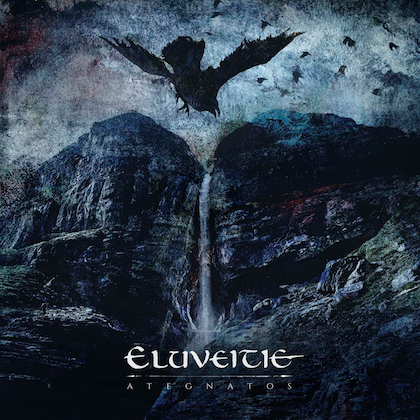 LEAVES' EYES' last album, "Symphonies Of The Night", was released in 2013 via Napalm.